About 38 years ago, the first prostaglandin (PGF) product was introduced into the U.S. market. Its launch brought multiple opportunities to control the estrous cycle to make A.I. breeding schedules more convenient. Prostaglandin has multiple tasks including initiating early uterine muscle contractions to facilitate birth and causes similar contractile properties in the ovary for ovulation of an egg cell from its follicular surroundings. It also plays a pivotal role in regressing the corpus luteum (CL). How successful is PGF in inducing regression of the CL? We conducted a large study that involved lactating Holstein cows located on seven dairy farms in California and Kansas. One of our objectives was to determine the success of CL regression in cows based on changes in blood progesterone in response to a single labeled dose of two PGF products. At six dairies, cows to be inseminated at first service after calving received two presynchronizing doses of PGF 14 days apart. These cows were then exposed to a timed A.I. breeding program in which cows received either of the two PGF products before the scheduled A.I. breeding. 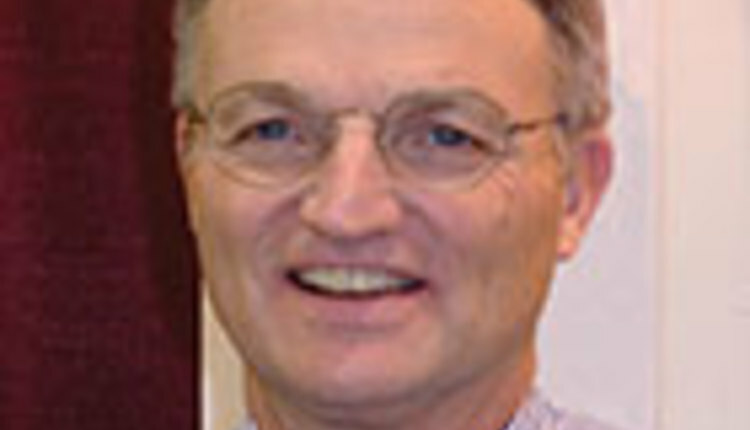 At one dairy, cows received either of the same two PGF products and timed A.I. breeding program when diagnosed not pregnant to an earlier A.I. breeding. Blood samples were collected just before the PGF treatment (0 hours) and at 48 and 72 hours later. The pattern of progesterone concentrations produced six different response classifications (Figure 1). Figure 1. 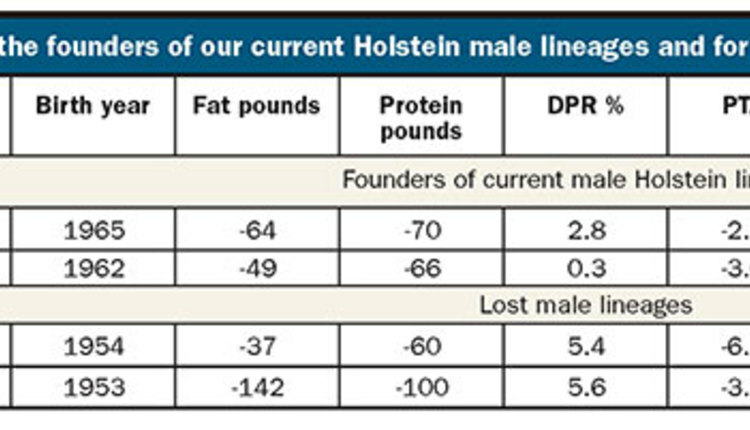 Concentrations of blood progesterone in 1,598 lactating Holsteins cows before and at 48 and 72 hours after treatment with prostaglandin. 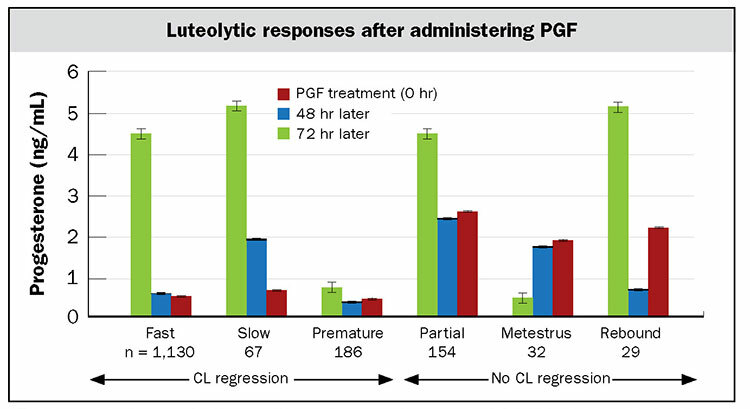 The majority of cows fit the fast luteolytic response (progesterone concentrations dropped relatively quickly after PGF treatment) — 70.7 percent. The remaining 29 percent were categorized as: followed by premature luteolysis (11.6 percent); partial luteolysis (9.6 percent); slow luteolysis (4.2 percent); no luteolysis for cows in which progesterone rebounded after treatment (1.8 percent); and no luteolysis in cows that were in metestrus (phase when CL begins to form and starts producing progesterone), likely in estrus just a few days before treatment (2 percent). No differences in classifications were observed between the two PGF products. When considering only cows having pretreatment progesterone concentrations more than 1 ng/mL and potentially eligible to respond to PGF treatment, the proportion of cows having successful luteolysis (progesterone less than 1 ng per mL by 72 hours) was 86.7 percent. Adding to that total were the 186 cows that had premature CL regression; total cows with CL regression was 88.3 percent before A.I. breeding. In response to a single dose of PGF, 11.7 percent (215 of 1,598 cows treated) exposed to a synchronization program failed to have CL regression. Of the 215 cows with no CL regression, regression was associated with a significant reduction in progesterone by 48 hours after PGF, but did not decrease thereafter (see partial and rebound classifications for 183 cows or 85.1 percent of 215 cows in Figure 1), whereas 32 cows (14.9 percent of 215 cows) probably did not have a sufficiently mature CL to respond to PGF. We suspect that nearly all of the cows in the partial and rebound classifications would have had successful CL regression if a second dose of PGF was administered from 8 to 24 hours after the first dose. 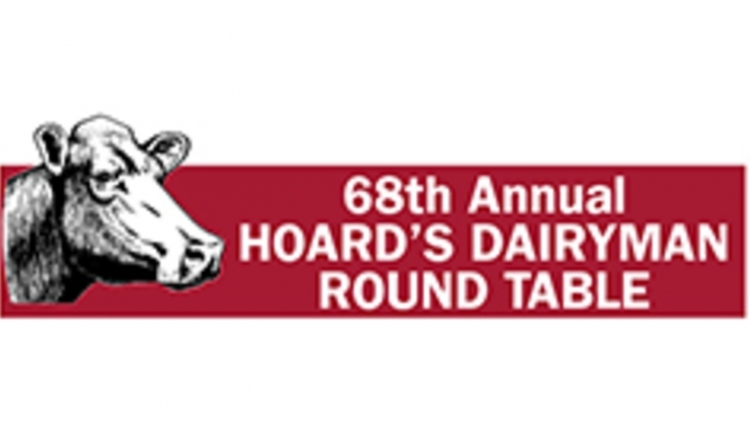 For more on the merits of administering a second dose of PGF and its effects on CL regression and subsequent fertility, see “Should we administer a second prostaglandin?” in the August 10, 2017, issue of Hoard’s Dairyman on page 480. Pregnancy rates per A.I., according to the six progesterone classifications, did not differ between PGF products. A few pregnancies occurred in cows in the partial, metestrous, and rebound classifications, illustrating that progesterone responses are not 100 percent accurate in assessing CL regression. 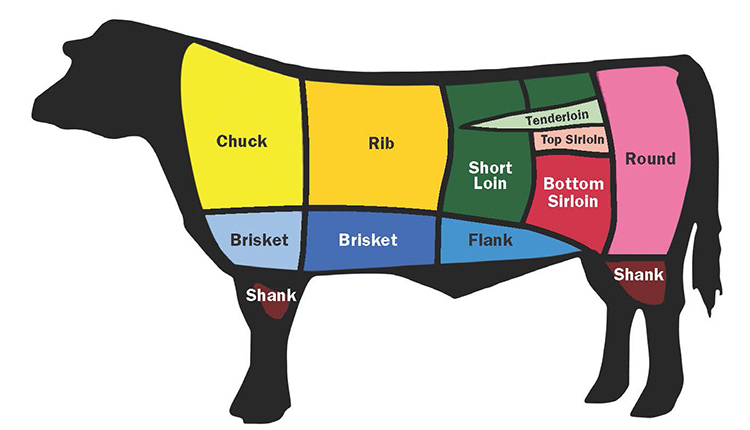 The best pregnancy rates occurred in cows categorized in the fast classification (42.7 percent), followed by slow (33.6 percent), and premature (25.3 percent) classifications. As expected, pregnancy rates were greater when the CL regressed than when it did not occur (40 versus 7.4 percent). Progesterone concentration in cows with luteal regression (0.45 ± 0.03 ng per mL) was significantly less at 72 hours after PGF than in cows having no luteal regression (2.42 ± 0.1 ng/mL). Our goal is to achieve very low concentrations of progesterone at the time of A.I. breeding because that enhances the odds of pregnancy. Most studies indicate that when progesterone is less than 0.3 to 0.5 ng per mL at the time of A.I. 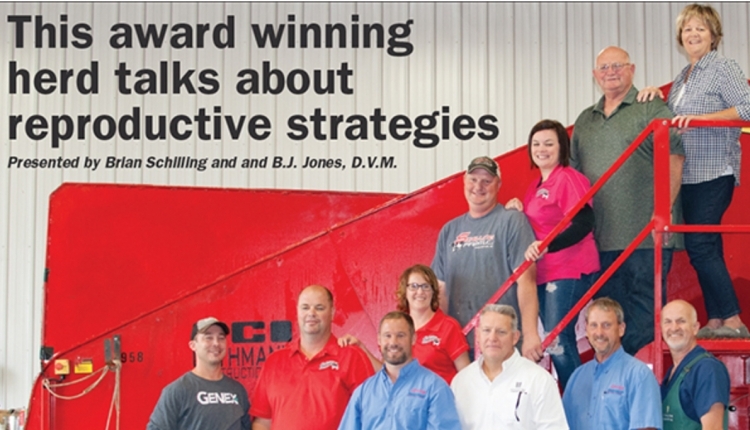 breeding, pregnancy outcomes are maximized. 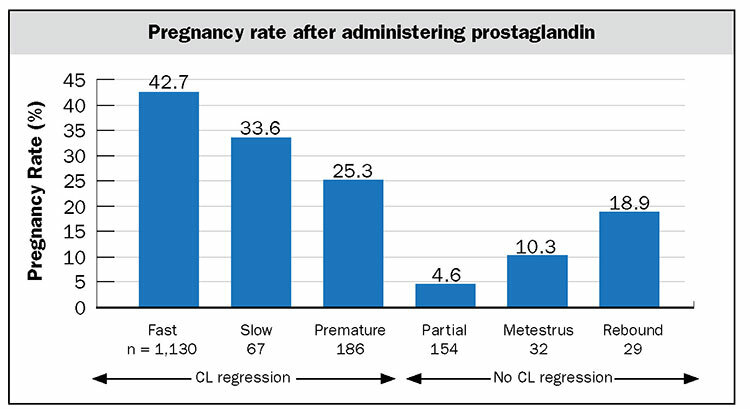 Poor CL regression can limit pregnancy outcomes. 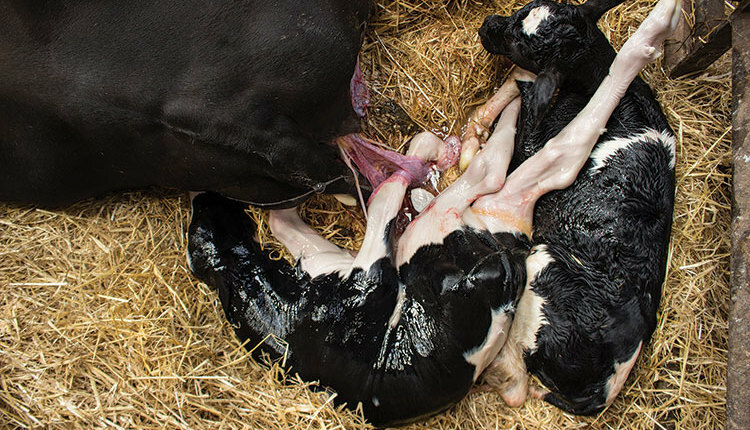 When cows received a second dose of PGF at 24 hours after the first dose, CL regression generally exceeds 95 percent, but the gain in pregnancies is limited to approximately 3 to 5 percent. Happy A.I. breeding!